Duh! You will be WOTB VIP-Yeah! Seriously though, you will be the first to know when we are offering something new and you may even get the chance to try a new treatment before anyone else! You also get first dibs on great discounts and extras. You are signing yourself up for the regular treatments you need and deserve. Consider it the first step to self renewal and a true commitment to your optimal health. If you have never had regular massage you are in for a serious treat, the difference it will make in your mind and body are truly unmatched! It’s low risk-we let you choose everything from the billing date to how you utilize the benefits, we even let you share with friends! For the monthly fee you get to come in for the type of massage you chose for your membership each month plus you get added to our weekly happy hour email list. The happy hour email is sent every Friday (if there is availability) and offers appointments at a very discounted price during certain hours for the following week. You can book as many of these appointments in addition to your monthly VIP massage as you like! You can choose to upgrade anytime to add extra minutes to your monthly massage or add-on’s such as hot stones, deep tissue and foot/hand treatments just let us know when booking by making a note or via phone or email. You can use all 6 massages in one month, 2 in a month or any combination of these. Though we do feel you get the most out of your membership when you are getting regular monthly treatments! Early cancellation fee is $100 or the balance of your contract (whichever is less). You are subject to the same cancellation and tardy policies that apply to all clients at Written on the Body and we reserve the right to deduct your monthly treatment as the payment for last minute changes to your appointment. We will always try to work with you ahead of time. OR-give us a call, email us or ask to sign up at your next visit! Can massage help my posture? We are sitting more than ever before with long hours at the computer, commuting, watching TV and it is affecting the way our body is aligned. Our shoulders and neck are pulled forward due to tight, shortened pectorals (chest), scalene’s and my favorite named muscle the sternocleidomastoid (front of neck). Our pelvis’s are out of whack from weakened abdominal muscles, shortened hip flexors and more. While we are busy slumping and slouching from sitting waaayyyy more than our bodies were intended to we need our grandmother’s in our ears to nag us to take breaks, pull our shoulders back and down and stand up straight, for goodness sakes! Almost every Massage Therapist I know pays attention to posture all the time. We can’t help it! Even when I am out and about I am noticing other people’s posture and thinking of ways that I could help return them to a balanced frame. If you are working towards correcting your posture you should talk to your Massage Therapist about your goals, they will most likely have some insight on where they notice imbalances and what type of treatment plan could work for you. Massage therapy helps to ease the tension in tight muscles caused by postural imbalances, for instance I mentioned the forward body posture above often caused by long hours at the computer which can cause arm, hand, neck and upper back pain. Targeting specific muscle groups such as the pecs and the muscles on the front of the neck can help lengthen them allow the body to find the space to realign itself into the proper position. This applies to other areas as well such as releasing the hip flexors for the low back to help relieve pain in this area. 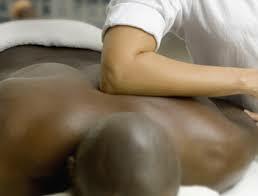 Massage relaxes you, improves your circulation, helps eradicate stress and is one of the best pain relievers out there. Many of the unhealthy patterns our body creates are caused by stress tension and pain which means getting regular massage is a key ingredient to letting go of those things that are having ill effects on your posture. 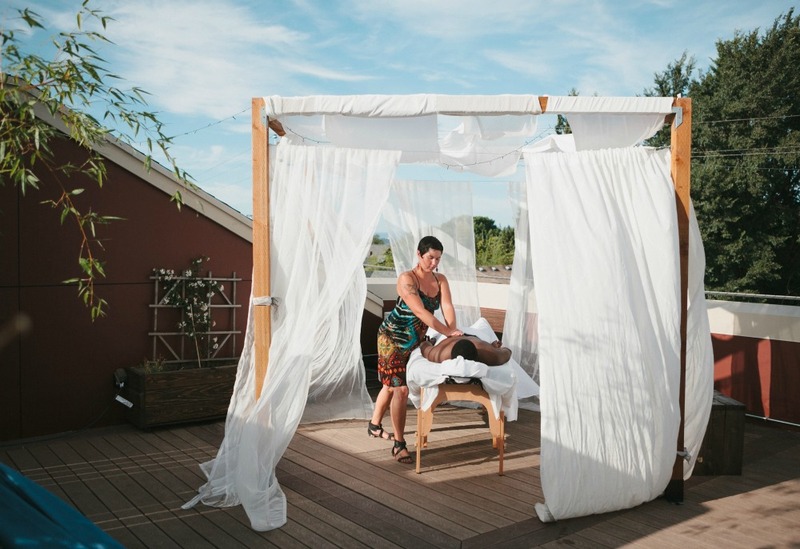 I would never try to mislead you into believing that massage is a miracle cure, that you won’t have to work hard to return to a healthy posture or that massage will be the only tool you might need. However I do believe that regular massage is an important (and hopefully really lovely) piece of the amazing posture puzzle. Don’t take my word for it Book Your Massage Today! 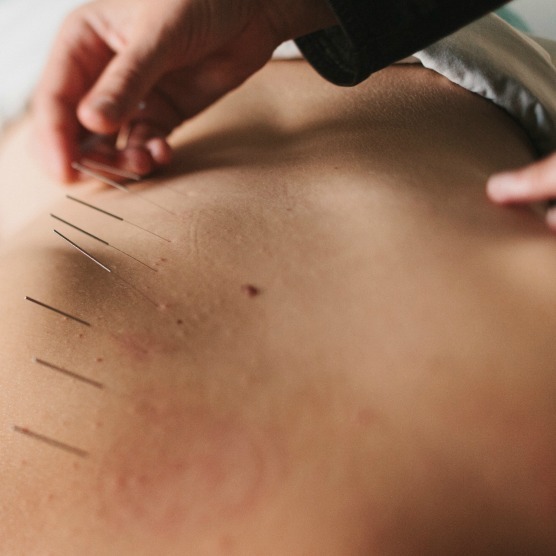 Consider massage and acupuncture as part of your health care plan, you are important and taking good care of your body is essential to living a long, healthy and happy life. 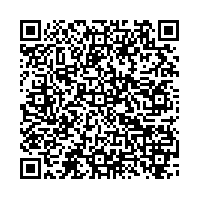 Check out our packages and memberships for affordable options in getting the treatment you need to become free of pain! 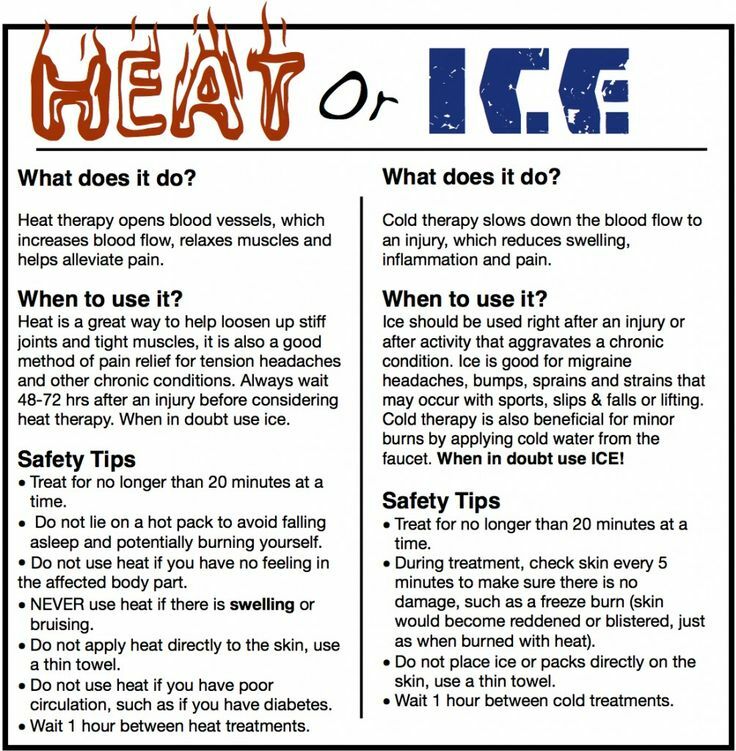 Heat or Ice for injuries-what should you choose? Here is a great info-graphic on ice versus heat and how each of them work. Remember that effective injury recovery involves the work you do at home as well as the treatments you receive from your health care team! Give yourself a break with sufficient time to rest and heal. We know this can be frustrating because you want to get back to your life and things you love but this is the MOST important step in the process of healing. Stay positive! Stress does not promote healing, in fact it does the opposite, help your natural healing ability along by staying happy and relaxed, eating healthy, drinking water and getting plenty of sleep. This may be the easiest step to forget but it can greatly impact the way your body heals itself. If you feel caught in a rut with an injury take a look at your lifestyle and make adjustments as needed. Thanks for reading and we hope to see you soon!